It Is Well to Lie Fallow For a While – first mention and discussion of Fallow Times. Fallow Isn’t Just About Fields and Dreams – more in depth discussion on what/why/how of Fallow Times. The Voodoo Project: First Things First. – basic discussion on some of the most basic voodoo concepts. Offerings 101 – discussion on the when/why/where/how/what of offerings. Offerings 201 – some more basic questions about what to do with offerings. Offerings 301 – discussion of some of the questions from first two entries I may have missed. 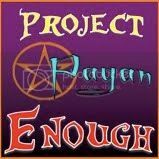 Rolling Out the Red Carpet – regarding when/why/how a pagan will “be called” by the OTHERS™. Recon Versus UPG – my first ‘guide’ remarking on basic research principles when starting on this pagan path. Kemetism 101 – in which I tell you where to get started. Festivals and Feasts 101 – in which I tell you how to celebrate some festivals. 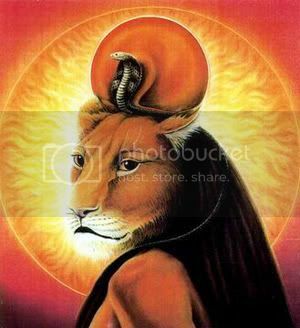 Akhu Veneration 101 – in which I tell you how to get started with veneratin’ your akhu. How To Shadow Work: A Guide – in which I discuss some basics on how to start shadow working. Saying No: A Guide – in which I discuss some basics on how to tell a god to go away. Kemetic Starter Guide – discussion based on the “OMG WHERE DO I START” question beginning Kemetics can have. 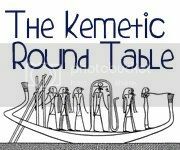 Kemetic Offering Guide – a post based on the “OMG WHAT DO I OFFER THE NETJERU” question beginning Kemetics can have. The Great Netjer Soda Guide – a facetious discussion on the netjer wanting soda and sweets for offerings. The Entire Devo Magix Series – based on various questions of how she does cleansings, amulets, sigils, etc. with diagrams and pictures! Flirting with Destruction – a guide to working with Sutekh/Set. Discernment – a guide to figuring out when to take those geese floating across the sky as a sign from the gods or it just being that time of year. Working with the Fae – a guide on how to get to know any and all fae in your area. Wep Ronpet: A Guide – a guide to what Wep-Ronpet is and how to celebrate. Boat Paddling 101: The Basics – a guide about the boat paddling craze that’s overtaken some Kemetics. Looking for 101s? – a full listing of her 101 guides to date. Spirits 101 – the full listing of all spirit and astral shenanigan 101s. On Offerings – a lovely commentary on what to do when you’re getting to know netjer and want to give offerings. Lamp Divinations & Scrying – a post regarding the ancient Egyptian techniques of lamp divination. Hearing the Gods – a topic about UPG experiences regarding hearing the gods. Budget Thursday – a list of offerings when you’re budget is as tight as can be! I Will Chop Off Your Tentacles – an article discussing how to create wards with camouflage. A Dodgy Guide to Bibliomancy – for anyone interested in learning how to divine via books. A Dodgy Guide To Interpreting Bibliomancy Readings – for anyone who has no clue how to interpret these readings. Wait, you think the soda guide is facetious? I helped work on that! AND YOU DID A GREAT JOB. I would like to get some advice. I’m not a Vodou initiate or anything like that, but the Lwa are paying attention to me. They say that I will see a common thread between Kemeticism & Vodou. Can you tell me where to begin to research this possibility? Thank you. The rose bell isn’t online anymore :( Maby you can delete that one? It must have been deleted/removed recently.